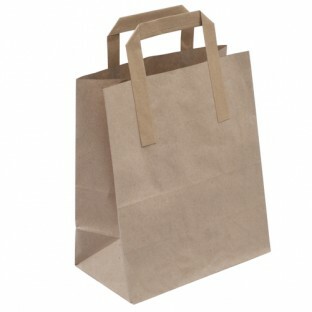 We offer a full range of Brown Kraft paper tape handle carrier bags. These are widely used in coffee shops, sandwich bars, delicatessen and farm shops. These are a TAX free alternative to plastic carriers.